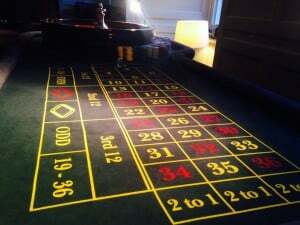 No Fun Casino is complete without a Roulette table! 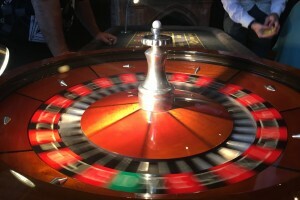 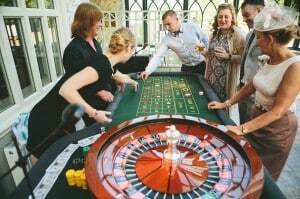 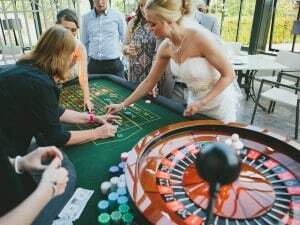 Roulette is one of the most popular games in the casino. 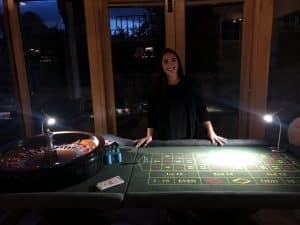 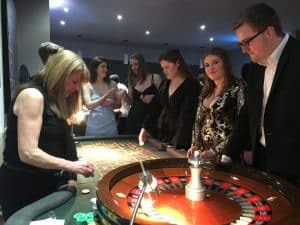 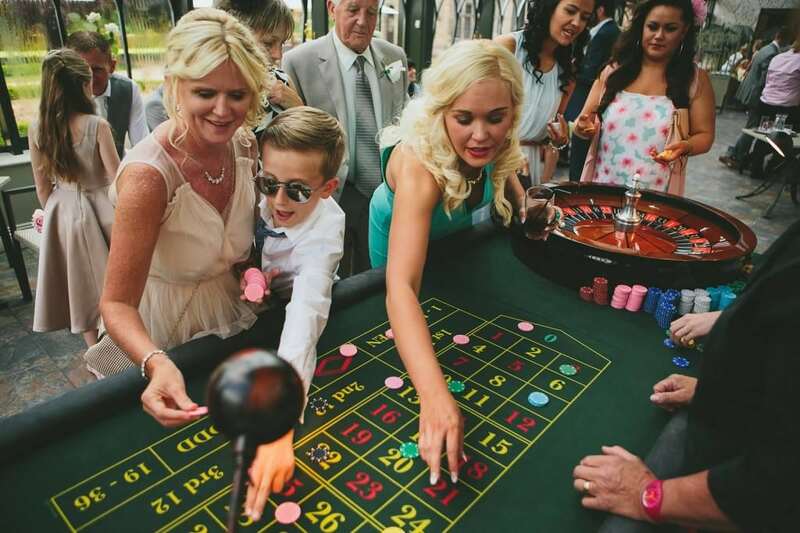 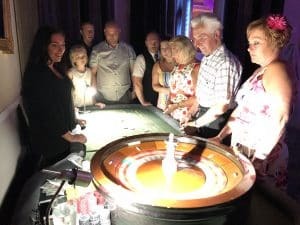 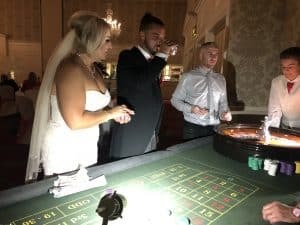 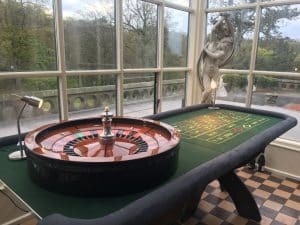 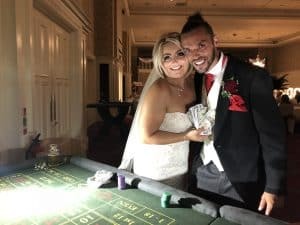 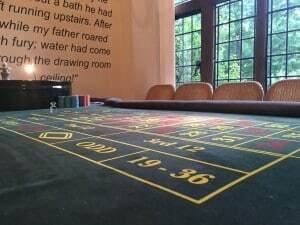 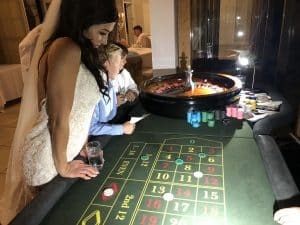 Players choose to place their chips on either a number on the Roulette table, a range of numbers, red or black, or whether the spin will be odd or even, roulette is an old favourite that combines suspense along with the chance for huge payouts. 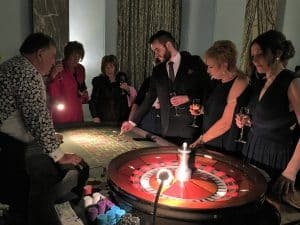 To determine the winning number and colour, the croupier spins a wheel in one direction, then spins a ball in the opposite direction around a tilted circular track running around the circumference of the wheel. 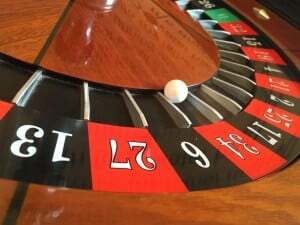 The ball eventually loses momentum and falls on to the wheel and into one of 37 coloured and numbered pockets on the wheel.